Notice 2014-52, released by the US Treasury Department on September 22, 2014, is intended to disrupt, and in some cases prevent, so-called corporate inversion transactions that have not been completed prior to the notice’s release. Although the notice includes very detailed rules, it very generally takes a two-pronged approach to discourage inversions after September 21, 2014. 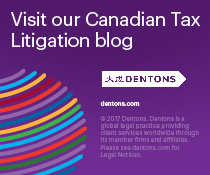 Dentons’ Tax team explores the implications of Notice 2014-52 on cross-border acquisitions or mergers. 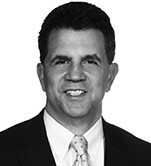 Cross-border tax structuring: Is there a common denominator for substance requirements? Share %s using EmailCross-border tax structuring: Is there a common denominator for substance requirements? 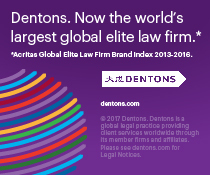 Dentons is launching the next phase of Vox Tax, a series of Dentons global reports dedicated to the most pressing tax matters facing CEOs, CFOs, general counsel and tax directors. Issued periodically throughout the year, Vox Tax reports will focus on a key current topic in the areas of international tax law and tax planning. Vox Tax’s first report, authored by Dentons’ global Tax group, covers tax structuring in jurisdictions around the world. “Cross-border tax structuring: Is there a common denominator for substance requirements?” examines 14 nations and discusses critical current tax topics, such as treaty shopping and substance. The report was prepared in collaboration with Loyens & Loeff, a Dutch law firm which contributed a chapter on the Netherlands. To access a digital version of the report, click here. The Vox Tax report will be accompanied by three upcoming cluster webcasts, each focused on a different region. These brief, interactive seminars are designed to help practicioners reduce risks and optimize tax operations.